EMPEROR PROMOS INC – Your #1 Promotional Products Broker! – Our team is dedicated to providing efficient brokerage services for your promotional projects! We make you look good! EMPEROR PROMOS INC – Your #1 Promotional Products Broker! Our team is dedicated to providing efficient brokerage services for your promotional projects! We make you look good! Merry Christmas from Emperor Promos! Merry Christmas from Emperor Promos! Get 10 FREE self promo USB drives with your first order of 2019 over $1000. Call 888-883-1286 or email sales@emperor-promos.com to get started! Thailand-based SRANN helps rural Thai women learn to grow organically to help create products that are sustainable and natural — and that can be sold profitably. 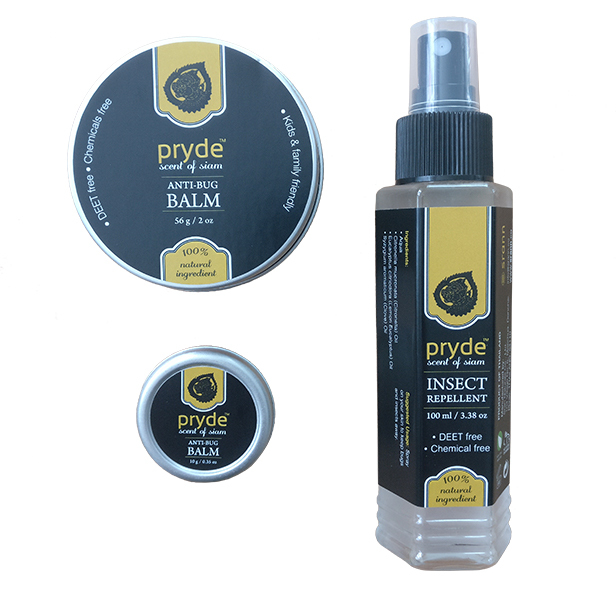 *Emperor Promos (asi/52371) is offering SRANN’s all-natural insect spray and all-natural bug balm in the North American promotional products market. 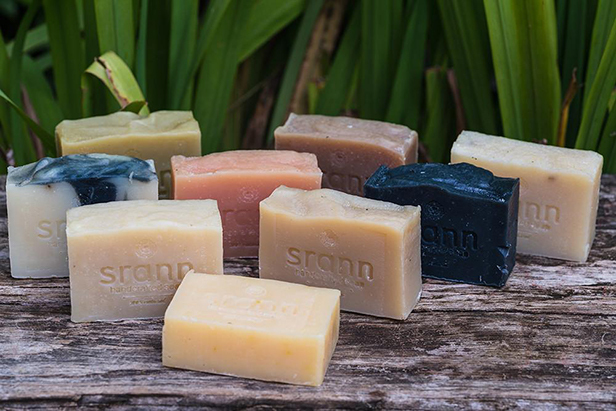 *Emperor could soon offer other organic products from SRANN, including soaps and oils. It’s often said that travel is inspirational. Boy was there truth in that statement for Steve Peters and Wes Merson. 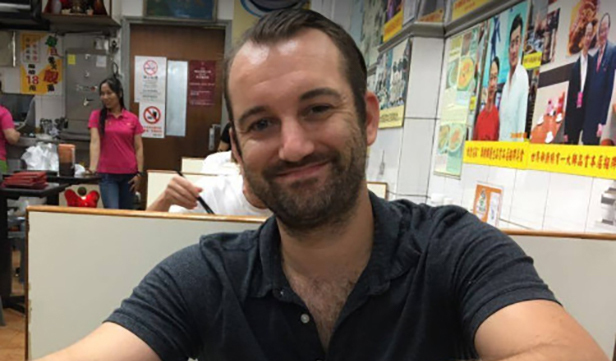 Steve Peters, VP of Operations at Emperor Promos (asi/52371). The business partners behind Emperor Promos (asi/52371) were on a trip to Thailand when they discovered an opportunity to bring exciting all-natural products to their customers in the North American promotional products market – and thereby help support good environmental practices and people in rural Thailand. Emperor Promos is selling this all-natural insect spray from SRANN in the promo market. Good mission or not, the products still had to be quality for Emperor to consider selling them stateside. SRANN more than impressed on that account. “We had been interested in offering the types of products they provide for a while, and when we found them and saw the quality and learned how they operate, we knew we had the right match,” Peters says. The “VIP Package,” which includes all-natural insect spray and insect balm from SRANN, is available from Emperor Promos. Secret Garden Yanang & Moringa Soap from SRANN. Such green, ethically-made products could appeal to a range of distributor end-clients, from any organization targeting eco-conscious and chemical-leery Millennials and Gen Zers, to businesses in the health and wellness field and beyond. “We think there’s a lot of appeal,” says Peters. The power bank was first unveiled at CES 2001 when a student pieced a control circuit and a few AA batteries together. Thus the power bank for smart phones was officially born! Power banks have already become the new hot item on everyone’s promotional sourcing list and for good reason. Most smart phones need lots of juice to power everything from cameras, heavy data usage, downloads, and much more. As of October 2014, the Droid Turbo included a battery size of a whopping 3900 mAh. To give you scale, the iPhone 6 only has 1810 mAh of power. As battery sizes increase, the need for power banks is becoming clear for anyone who is active on their phones during the day. Power banks currently range from 550 mAh all the way up to 30,000 mAh. Standard value options range from 2000 – 3000 mAh and can normally charge your iPhone 5 or 6 around 50% of full charge within 3-5 hours. It should be noted that if the phone is used while the phone is charging this may slightly decrease the power charging speed and thus affect the time to charge. This is the most important part of Power Banks 101. Like USB flash drives, just because a casing looks the same does not mean it is a comparable product. Many suppliers do not have certifications that are a must when sourcing these potential dangerous battery products. Power banks that have not been certified with UL and MSDS should never be used because they may not have short circuit protection, over charging protection, or temperature protection, all of which are important when considering the safety of not only your clients but your business’ reputation as well! If you continue to use the power bank while charging, disconnect if the power bank or phone becomes hot. It should be noted that most power banks will either become warm or cause the phone to become warm, but they should not be “hot” to the touch. Never lay your power bank and phone to charge on any flammable object. As seen in the above, if your power bank DOES overheat you will have more to worry about then a melted charging cable. Always make sure to use UL approved charging cables when charging. As seen in recent news reports, many low quality cables have melted when paired with smart phones and power banks. A MSDS (Material Safety Data Sheet) is a document that contains information on the potential hazards (health, fire, reactivity and environmental) and how to work safely with the chemical product. It is an essential starting point for the development of a complete health and safety program. All suppliers should have this available for distributors to review whenever needed. Click here to view MSDS for our power bank batteries. UL (Underwriters Laboratories) Listing means that UL has tested representative samples of the product and determined that it meets UL’s requirements. These requirements are based primarily on UL’s published and nationally recognized Standards for Safety. For packaging, the UL logo may be used alone as long as the product (as opposed to any Listed component in or connected to the product) bears the complete UL Listing Mark. Click here to view UL definition for our power bank batteries. Need something that will turn heads? Relieve your Stress, Anxiety, ADHD and Boredom with this Fidget spinner. Perhaps you’ve seen these around and wondered what these were for. For fidgeting of course! Do you fidget with a pen while on the phone or just bored at your desk? Take it to the next level with our line of premium fidget spinners and promos. How does it work? Hold spinner in one hand and use the other hand to spin it rapidly using small continuous strikes to keep it spinning indefinitely. With practice spinners can be spun using one hand only using the fingers of one hand to stop and start spinning. Perfect for gift baskets, giveaways, door prizes and more! What is Chinese New Year and how does it affect the Promotional Products Industry? Chinese New Year, or Spring Festival, is arguably the most important Chinese national holiday. It starts on the last day of the last month of the Chinese calendar, and runs until the Lantern Festival, the 15th day of the first month of the Chinese calendar. As it is not based on the Gregorian calendar, the exact dates change every year. So technically the holiday lasts for a good two weeks, however in practice companies close to about three weeks, and in some extreme cases even four weeks. Local governments and banks close down as well, but in general for a week or less. Most of the restaurants and stores will be open during the holiday, though business hours are adjusted so all staff can be with their families to celebrate the holiday. Local offices of third party shippers such as FedEx, UPS, and TNT take a break, one of the reasons for this is that Customs close for the holiday as well. There is no exporting shipments without clearance. During the holiday all production comes to a halt. What affects suppliers and distributors the most, is the fact that every factory has their own holiday schedule. Some might stop working a week before the holiday actually starts, whereas some might stop working only a few days in advance. To make things worse, workers might even leave for their hometown on a different date, or come back a while after the actual holiday ends. Suppliers and distributors should be aware that production capacity the week before CNY and the week after CNY will not be at a hundred percent. Realistically speaking production stops for two or three weeks, and will be running at 50-70% the week before and after the holiday. Weeks before the holiday even begins the first signs are seen. Factories notify their customers of the upcoming holiday, and with that, also deadlines they have for accepting orders. Deadlines often seem very strict, however keep in mind that your supplier has to take their partner’s deadlines into account as well. The majority of the most popular promotional products consist out of parts that come from various different suppliers which each having different holiday schedules. The best way to prepare yourself is to check with your suppliers their holiday schedules as early as possible. That way it’s easier to anticipate down the road, and also prevents you from accepting orders that cannot be delivered in time. Many suppliers and distributors miss out on orders during this period. This, however, is better than missing an event and disappointing your customer. In many cases your honesty will be appreciated, and perhaps other arrangements can be made. In order to minimize the delays for ongoing orders and orders in the making, we at Emperor ensure that plenty of stock is available before the holiday so we can work around our suppliers deadlines. Aside from that we always have stock available in our US office, ready to be sent out on short notice. Our talented design team is on call, which means we can get your order ready for production, even when other suppliers have their hands tied! Although the Chinese New Year holiday can be frustrating for suppliers, distributors, and also end customers, with a good preparation you can work around the difficulties that will surely cross your path. Monday February 8th 2016 Chinese New Year is upon us again. No need to worry about it just yet, we will give you a heads up in plenty of time! Wouter Savelkoul hails from Susteren, Netherlands, and is a senior sales representative for Emperor Promos Inc. Aside from business development he also often takes out his pen USB and writes articles on Asian manufacturing, QC/QA, and anything else directly related to the promotional products industry. As seen in a recent article by The New York Times, these Virtual Reality Paper Goggles are the best option for those looking to experience Virtual Reality as has been made possible by Google! Our kit comes folded neatly and ready to assemble with all parts included AND printed numbered instructions. Full color options and templates available upon request. Ready-made Cardboard viewer kits with an alternative capacitive switch that works with most phones. This equalizer bluetooth speaker is perfect for your next employee gift project or premium gift basket. Watch the lights dance as the music plays through these powerful 10 speakers! Listen to music on the beach, mountain, and anywhere in between! Don’t limit music to your iPod, take it to the next level with music throughout your house or out on the trail! Rechargeable lithium battery ensures your music listening pleasure lasts for hours! Loud speaker output is 10W with a charging input of DC 5V. Normal charging time is 3 hours for a maximum of 12 hours playback time.